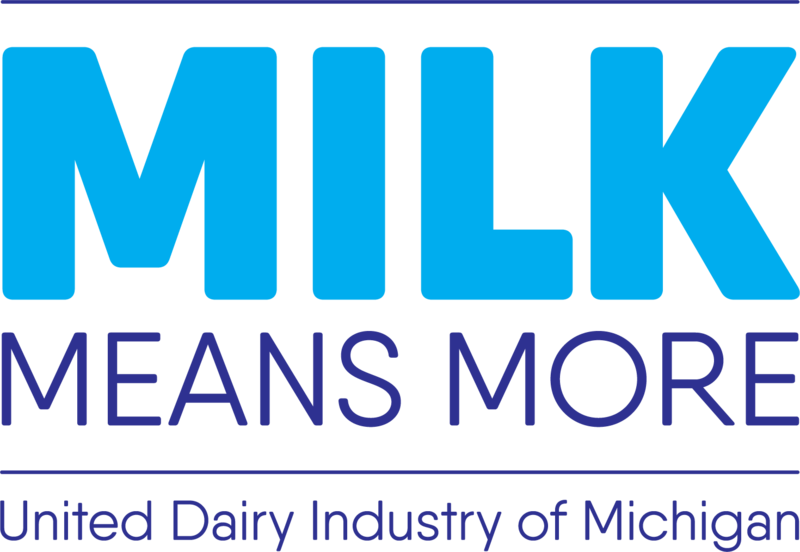 The United Dairy Industry of Michigan (UDIM) Dairy Promotion Grant Program provides funding for Michigan dairy producers and dairy farm employees to conduct promotional events in support of the dairy industry. The funding process requires eligible applicants to submit a completed grant application form and an itemized budget in order to receive funding. The funding cycle is open year-round for the UDIM Dairy Promotion Grant Program, but with funds awarded on a first-come, first served basis. Who can apply for a UDIM Dairy Promotion Grant? Applicants must be associated with the production of cow’s milk as a Michigan dairy producer or dairy farm employee. Dairy Farm Family members and employees are regarded as a single farm entity. What sorts of projects qualify for funding under the UDIM Dairy Promotion Grant Program? Traditional and original promotion and educational events, activities, and programs enhancing awareness of the dairy industry, the health and nutritional benefits of dairy products and public trust will be considered for funding. Grant money cannot be used to purchase items for resale or to be used at profit-generating or political events. The emphasis should be on local promotion. The dairy provided must be a visible addition to the event. An incremental product that would not have been used before and must be visible at the event. For example, milk to drink with a meal but not butter for a recipe that would have been made anyway. What is the primary goal of the UDIM Dairy Promotion Grant Program? The primary goal of any event is to increase awareness of dairy foods and the dairy industry, especially among the non-agricultural general public. Every event plays a role in teaching, sharing and enhancing knowledge about dairy; we also want to encourage the inspiration of new ideas. How do I apply for a UDIM Dairy Promotion Grant? Individuals must complete the online UDIM Dairy Promotion Grant Program application form and an itemized budget to apply for funding. Paper copies of the application can be requested by calling 517-349-8923 or via download as a PDF version. If you need any help filling out an application, please call the office at 517-349-8923. Eligible applications will be reviewed and awarded on a first-come, first served basis. Applicants will receive an email notification regarding approval within 10-15 business days of when the UDIM Dairy Promotion Grant Program application was submitted. When is the deadline for submitting UDIM Dairy Promotion Grant applications? The grant applications are accepted from January 1 through December 31 of the current calendar year. The promotional activity must take place during the current calendar year. Funding is available year-round and awarded on a first-come, first served basis. How many grant applications can I submit? There is no limit to how many grants eligible applicants may apply for. Some applicants have applied for and received multiple grants; however, a maximum of $1,500 in total grant funds will be awarded annually to an individual applicant or single farm entity (which includes family members and dairy farm employees). Is there a dollar limit for which I can apply? Yes. An individual applicant or farm entity (which includes family members and dairy farm employees) may apply for a maximum of $1,500 annually, which may be used at one event or divided among multiple events. Of the $1,500 total, a maximum of $500 may be used toward the purchase of event support items. Event support items can include signage, banners, coolers, ice and event-specific t-shirts for volunteers. Are there restrictions regarding the use of event support items? Grant funds may not be used for cash prizes or gift cards. These funds can be used to purchase items for dairy gift baskets. To order dairy promotional items, please call our office: 517-349-8923. Will my UDIM Dairy Promotion Grant application remain on file for future funding consideration if it’s not selected for funding in the year I apply? No. A grant application will only be considered for funding during the year in which it’s submitted. Applicants must submit a new UDIM Dairy Promotion Grant application in order to be considered for funding during the next calendar year. Can I submit a UDIM Dairy Promotion Grant application for the same project year-after-year? Yes; however, there is no guarantee that a previously-funded grant request will again be funded, as funding is available on a first-come, first served basis. When and how will I find out if my application has been approved for funding? Within 10-15 business days following grant submission, applicants will receive an email notification of approval. What area(s) should be targeted by a grant fund request? Enhancing awareness of the nutritional and health benefits that come from including dairy products as a part of a balanced diet. Advancing the image of the dairy industry and fostering public trust. What will I need to do after I receive funding approval for my project? Go ahead and conduct the promotional event you have planned. Once you have completed it, submit within 30 days promotional receipts that were authorized to be funded by the grant. The request for reimbursement, receipts, and a minimum of two event photos must be submitted within 30 days following the scheduled promotional event. Reimbursement forms can be downloaded online. UDIM will issue payment within 30 days of receiving completed reimbursement forms with original receipts. Reimbursement checks will be made payable ONLY to the awardee of the grant. What kind of event photos do you want? We especially like photos that show participants enjoying dairy foods, wearing or using dairy promotional items. Identifying information related to the photos and positive comments from participants is appreciated. Please share your ideas and successes with others on the Dairy Producer Promotion Grant Report. Can I submit digital photos from my event? If you have additional questions, please contact the UDIM office at 517-349-8923. Our toolkit offers ideas and insights to make your next event a success.